"It is clear to us that Ram is not only serious about being a competitor in the full-size truck market with the all-new 2019 1500, but that they intend to lead," said Sean Holman, Group Content Director for TRUCK TREND. "The new truck breaks ground in many areas and is the gold standard of what to expect in regard to comfort and technology without giving up any of the functionality or utility of a truck." 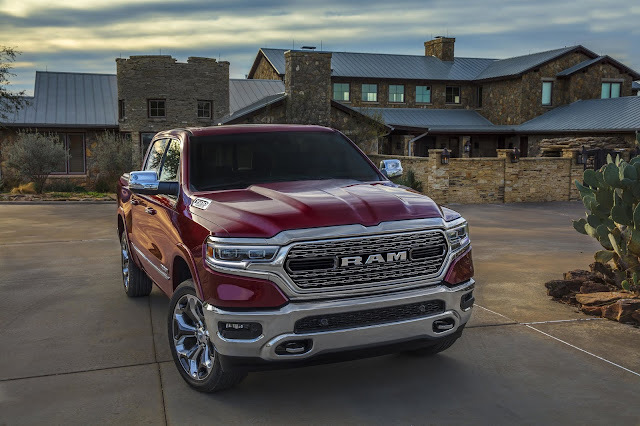 "The all-new 2019 Ram 1500 is the benchmark for durability, technology and efficiency with a high level of luxury previously not available in pickup truck segments," said Reid Bigland, Head of Ram Brand. "We're pleased TRUCK TREND recognizes our new Ram 1500 as its 2019 Pickup Truck of the Year."